The theft of credit card details is becoming increasingly common across the world. Large numbers of Americans become victims of criminals who use stolen credit card data to carry out fraudulent transactions. Javelin Strategy & Research, a consultancy, has reported in its 2016 Identity Fraud Study that in 2015 there were 13.1 million U.S. consumers who were affected by identity fraud. The sum involved - a massive $15 billion. How do cyber criminals access your credit card data? When you use public Wi-Fi, you could be inadvertently revealing confidential information to hackers. Many consumers have poor password habits, a factor that is of great help to criminals operating on the internet. But even if you exercise great caution when using your credit card and are careful about its password and avoid using it on little-known websites, your data could be stolen from other sources. The theft could take place using sophisticated skimming equipment. Criminals may also hack into the database of companies that have details of millions of credit cards and then sell blocks of data using the dark net. You may remain unaware of the theft and come to know about it only when you notice that an unauthorized payment has been made on your card. Once you do get to know that your card information is stolen, it is essential that you take steps to protect yourself from further harm. It is your responsibility to call your credit card company’s 24-hour-toll-free number and tell them that your card details have been compromised. For good measure, send an email or write a letter as well. 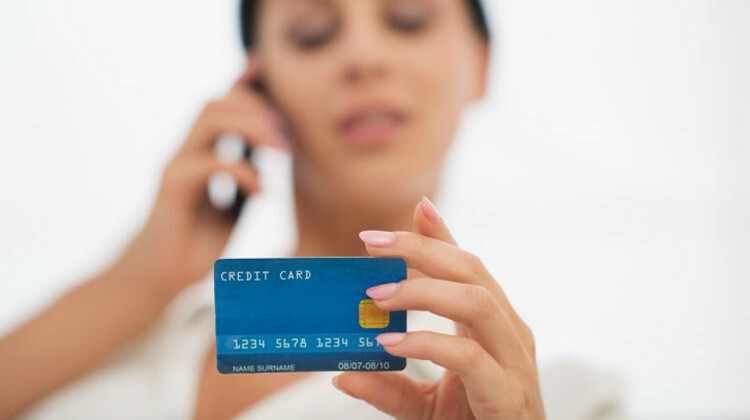 Immediately upon your call, the card company will close your account so that it cannot be misused. If any unauthorized transactions have already taken place, you are protected under the Fair Credit Billing Act (FCBA). If a cardholder’s details have been stolen by hackers in a data breach and misused, the FCBA ensures that consumers will not be unfairly billed. Under this law, the maximum liability of a cardholder is $50 if a purchase is made using a stolen card. In actual practice, even this amount is not collected by Visa and MasterCard in many instances. In the event that wrongful use of the credit card was done online or using a phone, the FCBA’s rules do not allow the credit card company from collecting any sum at all. Any usage on the credit card after you inform the card issuer cannot be billed to you. Remember that it is your responsibility to inform the card company if your card has been used without your knowledge. If you simply ignore the fraudulent transactions on your statement, you may lose your protection under the law. If there are unpaid amounts against your credit card bill, it may affect your credit rating. If an unauthorized transaction has been done on your card, it is important to inform the credit bureau that you are disputing the charge and that your credit score should not be affected. Getting in touch with any of the three credit rating agencies is sufficient as they will inform the other two. Contact any one of TransUnion, Experian, or Equifax and ask them to put a 90-day fraud alert on your credit. This will make it more difficult for an identity thief to open more accounts in your name. With an alert in place, a business is obliged to first check on your identity before issuing credit. When you place an alert on your credit it will stay there for an initial 90-day period. It can be renewed after this. It is important for you to file a complaint with the Federal Trade Commission (FTC). You will also be required to make a police report. For the police report you will have to go to your local police office with a copy of your FTC Identity Theft Affidavit (this is based on the information that you provide the FTC), a government-issued ID with a photo and your address proof. A mortgage statement, a rental agreement or a utility bill will suffice as address proof. After completing the documentation you will get a copy of the police report. These two documents (the FTC Identity Theft Affidavit + the police report) form your Identity Theft Report, which is proof that someone has stolen your identity. You now have the right to stop creditors and debt collectors from reporting amounts that have resulted from fraudulent transactions to credit reporting agencies. Based on your Identity Theft Report you also have the right to stop debt collectors from contacting you. Placing a fraud alert with the credit bureau will entitle you to a free credit report. Review the credit report to ensure that it contains only genuine transactions. Try and spot inaccurate entries as early as possible. This will give you more time to get the corrections done. If there are any inaccuracies in the report, it is crucial that you dispute them immediately. Keep copies of the communication that you have made with the credit rating agencies. If your credit report is not corrected, it could adversely affect your credit score. This will lead to an increase in the cost of borrowing and may even limit the amount of finance that you can raise. Do you regularly look at all the entries in the monthly communication that you receive from your credit card company and from your bank? If you do not, it may be a good idea to start. If one card’s details are compromised, there is a possibility that hackers have access to some of your other confidential information as well. Keep your guard up over the next few months. You may be hit with unauthorized charges in your other accounts long after you discover the first fraudulent transaction. When you are checking your statements do not ignore small unrecognized charges. If you are debited with a single charge of $1, which you did not incur, you may be tempted to pay it rather than bother finding out what it pertains to. But scam artists use this technique to ascertain which cardholders check their statements. If you ignore a $1 charge, your account may be charged with a much larger amount in the following months. Your card issuer will send you a new card soon after you report that the original has been hacked. While you are safe as far as this particular card is concerned, it is not possible for you to be certain whether any other personal information has been stolen. It would be prudent to change the passwords for all your other credit cards and for your bank accounts. Even if these have not been hacked, it is possible that criminals have obtained your personal details. Using these, they may be in a position to carry out fraudulent transactions by phoning the card issuer’s call-center and impersonating you. When you inform your bank that your credit card has been hacked, it will be blocked immediately. But you may have given standing instructions for various amounts to be auto-paid by debiting this card. Review the list of payments linked to your blocked card and make arrangements to have payments made using some other means. Be careful about where you store your private documents. When you throw away old papers that contain confidential information, do you use a shredder or otherwise ensure that they are unreadable? If any papers containing your personal information get into the wrong hands, they could reveal details that may result in your credit card or bank accounts getting hacked. When you move home, make sure that you tell your card issuer and bank about your change of address. Similarly, if you change your mobile number or your email address, remember to inform all the relevant financial institutions, credit reporting agencies and tax authorities. Phishing scams are getting very sophisticated and it is difficult to tell them from the real thing. If you let yourself get fooled, you can reveal sensitive information such as usernames, passwords, and credit card details to criminals. Check that the emails you receive are from genuine senders and be careful before clicking on suspicious links. When you do detect a phishing message, delete it immediately and then empty it from your trash folder. Double-check before revealing information like your credit card number to anyone on the phone unless you are very sure that you are speaking to a reputed organization. Never reveal any passwords on the phone. Be careful about where you store your cards. If you lose one and don’t find out till much later, you may allow multiple transactions to be made before the fraud is detected. If you are careful, you can reduce the chances of your credit card details getting stolen. Monitor your card usage and keep a close check on your monthly billing statement. But if you discover that unauthorized usage has taken place on your card, inform your credit card issuer immediately. It is quite likely that you will be protected from incurring any financial liability.